Behind the scenes with custom leather designer Natalie Davis. HBTV: Modern Day Artisans - Misc Adventures from HBTV on Vimeo. Miscellaneous Adventures is a small studio run by illustrator and maker Andrew Groves in Sussex. Watching this great short video, you get a nice look at Andrew's process and how he goes about his work. You can pick up your own wooden spoon or camping tool in his shop, but they seem to sell out quickly. The measuring spoon is softly calling my name. Andrew also has a great tumblr, for those looking for a quick escape. 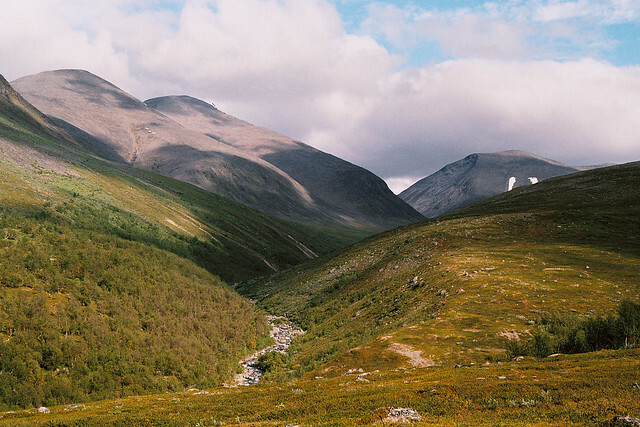 This photo was taken at the Fjällräven Classic, a 110km wilderness trek in the mountains of Swedish Lapland. 20km inside the Arctic Circle, participants take a maximum of 6 days to travel along Kungsleden from Nikkaluokta to Abisko. Total dream! Hear the latest news first! We'll never share your contact info, promise.